Sentinel Tactics: The Flame of Freedom is a tactical combat game that uses a hex grid map to represent terrain. Each player controls one or more heroes or villains, each of which has unique powers. Combat is based on the rolling of six-sided dice. 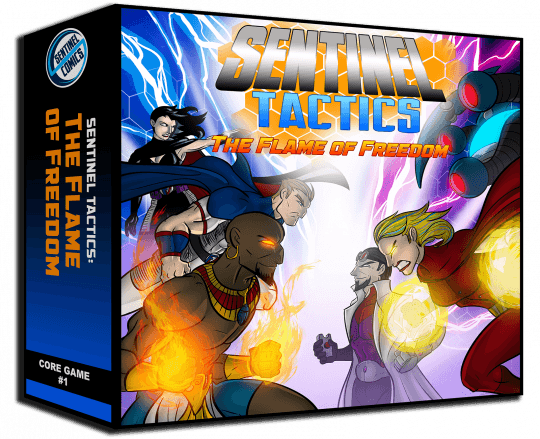 Whereas Sentinels of the Multiverse is a fully cooperative game, Sentinel Tactics is a team-based game. Groups of players will cooperate against either a villain player or against another team of players, so while the game is competitive, cooperation and teamwork are still vital to the gameplay.